People turn to the internet when looking for new homes in today’s real estate world. A few years ago, you looked them up online on a desktop, got a map, and drove out to see a potential residence. Today, you grab a smartphone and go, because anything after that, you can look up on your phone. With the gigantic shift to a mobile internet, REALTORS© need to stay in the game by increasing their web presence. Real estate is a field that is defined by you as the agent and the way you conduct your business. It’s making yourself a relevant and important resource to your client base and the community as a whole. With so many agents out there vying for a piece of the real estate market, it’s easy to get overlooked by potential clients. In order to rise above the fray, you need to find a way to market yourself effectively. If your marketing plan entails sending out mass emails, and placing newspaper and magazine ads, think again. The days of effective outbound marketing are fading fast. Today, you’ll need to turn your focus to inbound marketing and create an online presence with your website, social media, and content marketing so you can naturally attract your target market to you. In today’s World, it’s about becoming the only resource for your clients, creating your personal brand, and staying relevant to your area of expertise. Having your own real estate website is the best way to protect all of these areas and maximize your development and growth of your business. 1. Become a Client Resource – The first step is to create your website, where your current, and prospective, clients can go to learn more about you and the services you offer. However, most agents make the mistake of doing only that and no more; in today’s competitive marketplace, you need to go beyond displaying your services. You need to use your website, blog, and social media to become a valuable resource with pertinent, helpful information. 2. Brand Yourself – Set yourself apart from the competition, you do not want to be just another pretty face on a standard corporate site. By having your own site, you are creating your online brand, as your website is a direct reflection of your authority, goals and services. Home buyers and sellers want to work with someone they can trust. The National Association of Realtors website states that 54% of buyers and 64% of sellers found the agent they worked with either from a personal referral or they used an agent they had worked with before. And how do they follow up with a referral? Google search! Are they looking up ‘Your Name’ or the name of the reality company? 3. Stay Current – From the National Association of Realtors, 96% of North Americans are looking to buy their house on the internet. As REALTORS® we need to understand the power of internet in generating the sales we need. The internet makes it easier for potential clients to find you and your properties. Having internet presence will allow all current and potential clients to get in touch with you and the information you have at anytime and anywhere. 4. 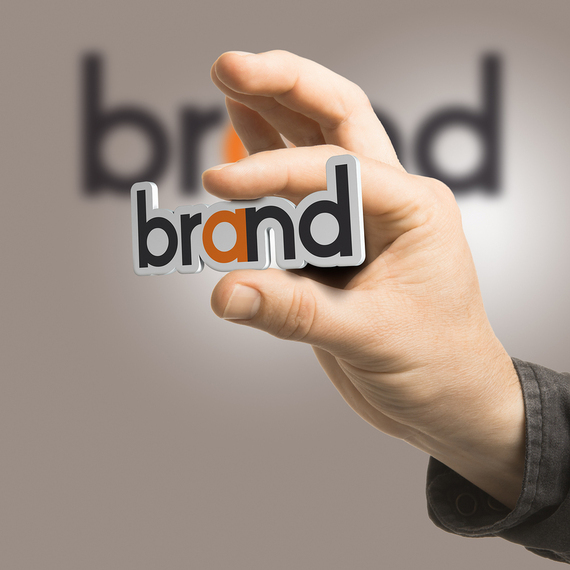 Grow Your Personal Brand – You may argue that you do not need the added expense of a website since your broker or agency supplies you with one as part of employment, but nothing could be further from the truth. What happens if you leave that brokerage? Personal branding in real estate is important. You need to set yourself apart from the competition. You don’t want to be lumped in with everyone else in the office on some generic corporate website, otherwise what’s the benefit of the prospect choosing you over another agent in your office using the very same corporate resources? 5. Be the “Go-To” Resource for Your Clients – Let your clients learn about you and your services, this is a great place for the client to get to know you and confirm they made the right choice by selecting you to be their realtor. Adding tools like Mortgage Calculators, Information on Loan Programs, Home Buyer Tips and access to listings will increase the value of your website. Make your website the only place they need to go. 6. Become the Local “Go To” Agent – Having your own website also gives you an awesome advantage when it comes to targeting specific geographic areas. If there is a certain area of town that you are trying to focus on, we can easily integrate targeted keywords that represent that area of town into your website elements through local SEO tactics including URL and page titles, content, meta data, meta description, etc. By integrating these specific “long-tail” keywords into your website, you are giving yourself a distinct advantage over your competition who is probably focusing on broader, simpler keyword targets. This SEO gets a narrower, more interested buyer. When a potential client begins to look at real estate in your target area of town, there is a greater chance that they will discover you. What’s even better is that your site will have information specifically about that area, so you will look like the “go to” agent. 7. Networking Through Your Blog – Creating a blog on your website could help you attract an audience. This would be a positive way to demonstrate your knowledge and build trust for your readers. With an active blog, clients can see how you want to connect with them. Blogs are a great place to link social media sites such as LinkedIn, Facebook, and Twitter. These sites can also help build your brand and will let them know you are available to them. Plus, social media posts drive traffic back to your site where they can explore even more. 8. Who Are You Branding? – Who are you branding, you or ABC Real Estate? When you have your own website, it is a custom website about you (not a corporate template that comes down when you leave for greener pastures) and one that is designed to bring value to your clients. You can work with the designer to create the content, the look and you can make all the design decisions. It’s your website. Having your own custom website makes you stand out from the crowd, makes you look different than your co-workers and shows that you are a professional realtor who has a true expertise in the local market. Now you can take your custom website and your leads with you, wherever you may go. This is why it is better to own your own website instead of relying on your broker to build one for you or using someone else’s template. Don’t brand the company, brand yourself. 9. Lose the “New to the Office” Syndrome – Are you losing referrals because potential clients may be thinking you are new to the office or the industry, because there is no other information about you on the internet? It happens all too frequently. It’s a digital world and image is everything, even more so in reality. A robust web presence can increase your awareness, your authority, and your leads faster than any other marketing out there.